Or so D.C. Metro thinks. Jesus...who on earth approved this? 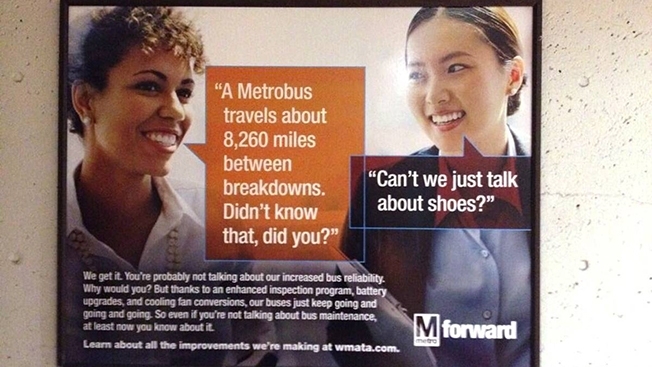 D.C. Metro say, "The point of the ad is to get people talking about Metro's massive rebuilding effort by juxtaposing technical facts with a variety of light responses in conversation between friends."